OnePlus managed to create a compelling handset in the 3. The phone covers all the necessary bases to be deemed a flagship, and yet it doesn't even come close to flagship pricing. The unibody chassis is well-designed and attractive, even if a bit familiar. The phone is glued together tightly, giving it an air of strength. It's big, but the 3 is still easy to carry around and use. The screen isn't the absolute best for this class of device, but it's certainly good enough. I wasn't enamoured with call quality and speaker volume, but data performance is solid and battery life is beyond excellent. Rapid charging more than makes up for the sealed-in battery. The 3 ships with a generous 64 GB of storage, but some may complain about the lack of memory card support. The fingerprint sensor is as quick and accurate as any I've tested. Some might be concerned about the lack of in-car Bluetooth. Don't be put off by OnePlus' so-called OxygenOS. The phone practically runs stock Android and, in fact, is more customizable than many of its competitors thanks to a litany of options like Active Display, Shelf, and Dark Mode. The camera app is solid and the phone's imaging sensors deliver fine photographs and videos. As far as value is concerned, it's hard to beat the OnePlus 3. The phone is available online, unlocked for $399. That's the same price as the Alcatel Idol 4S, ZTE Axon 7, and Huawei Honor 8 — and hundreds less than iPhone or Galaxy S.
The OnePlus 3 is an excellent option that should excite those seeking freedom from carriers and the boring, me-too handsets lining the shelves of electronics stores. OnePlus say its OnePlus 3 and OnePlus 3T phones will both be updated to Android P. The company had originally said updates for these phones, which are two years old, would stop with Android Oreo. OnePlus has made OxygenOS Open Beta 25, based on Android 8 Oreo, available to the OnePlus 3 and OnePlus 3T smartphones. Owners of these phones can, if they wish, download the beta build for pre-release testing. OnePlus recently made the OxygenOS 4.5 system update available to its 2016 OnePlus 3 and OnePlus 3T smartphones. The platform puts the 3/3T on feature parity with the newer OnePlus 5 flagship the company released in June. 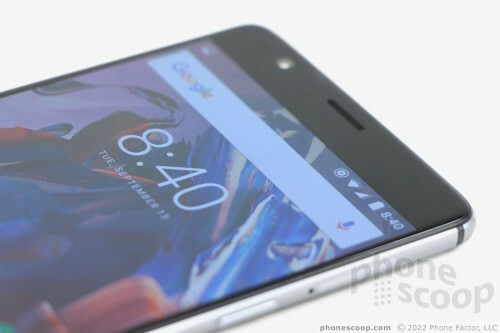 OnePlus is on the verge of announcing the OnePlus 3, its third-generation smartphone. The company plans to reveal the phone in full during a virtual event scheduled for June 14.